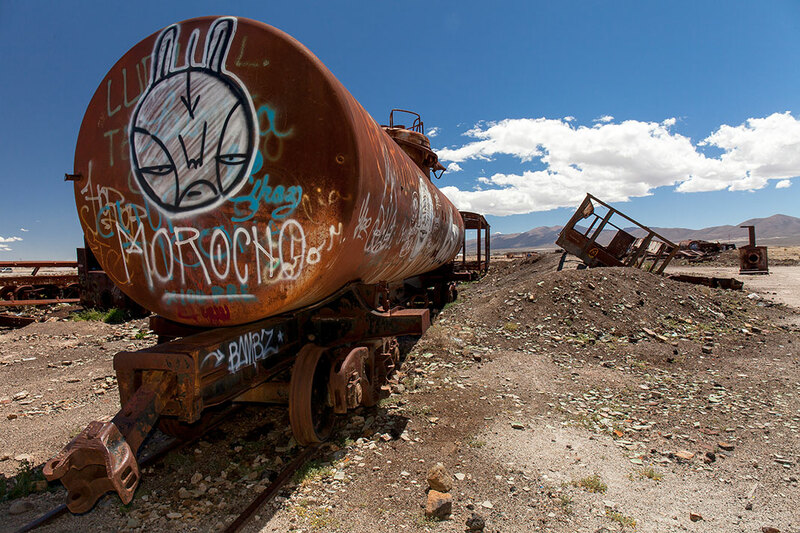 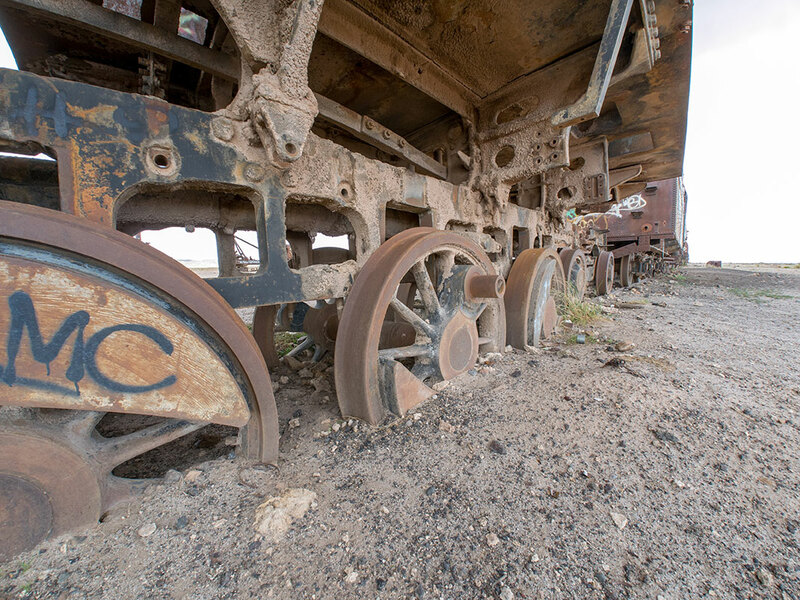 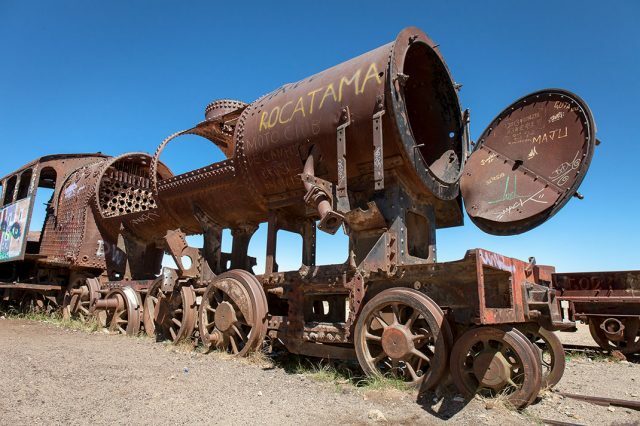 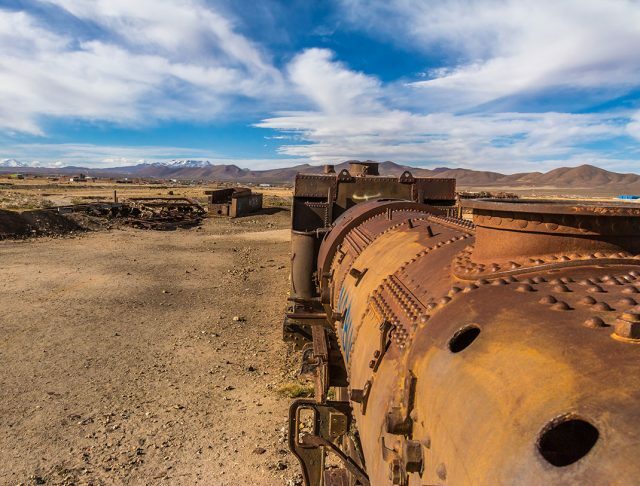 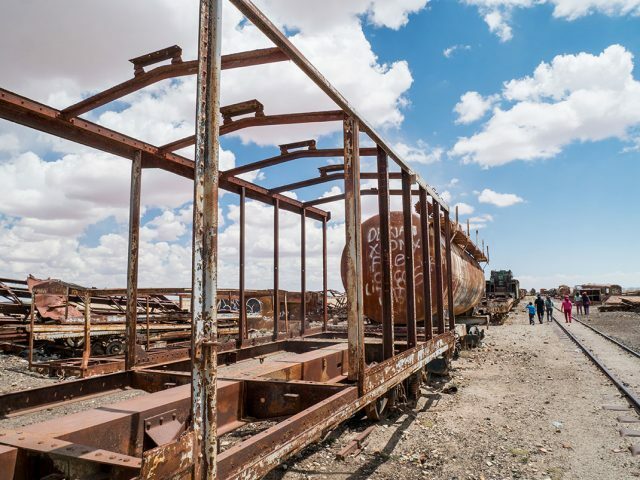 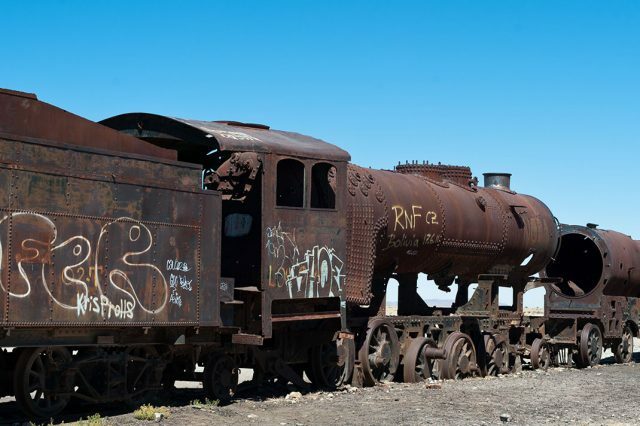 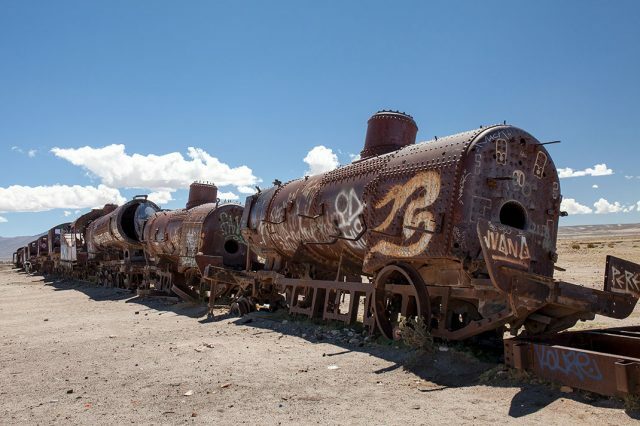 A mysterious graveyard of old trains is located in the heart of southern Bolivia, where hundreds of cars and steam locomotives, mostly British, are rusting out of sight at the exit of the town of Uyuni. 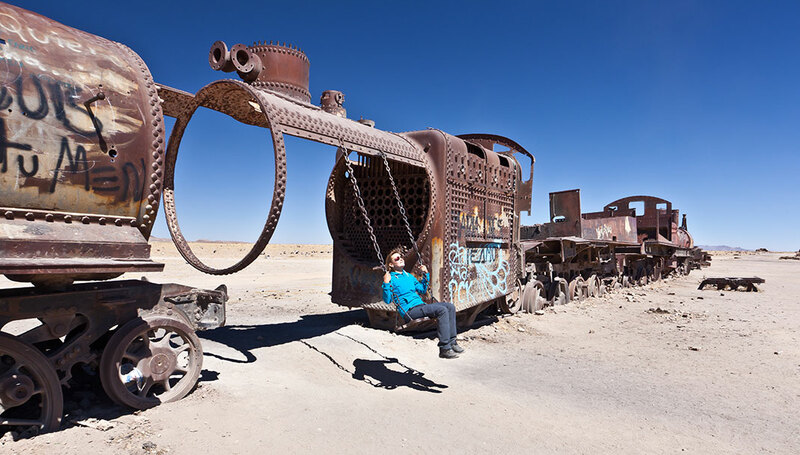 This spectacle is unique and fascinating! 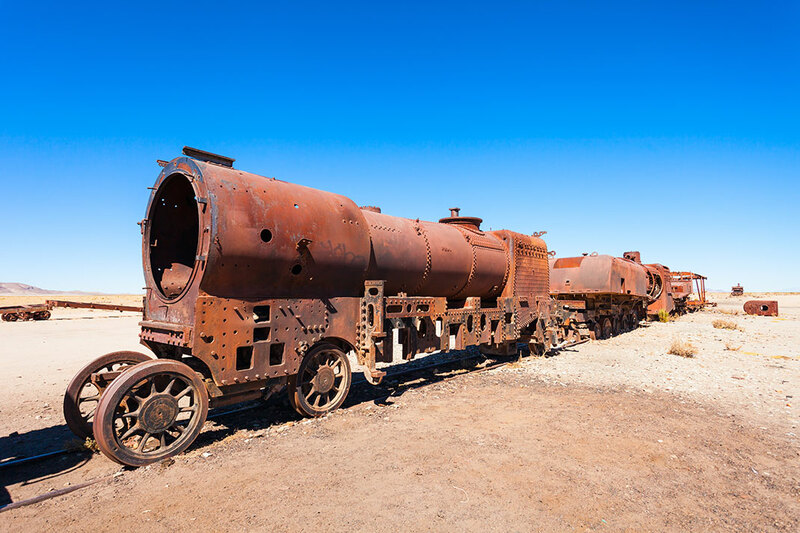 Most of these steam locomotives date from the nineteenth century, when they were imported from Britain, and they were built only for British climate. 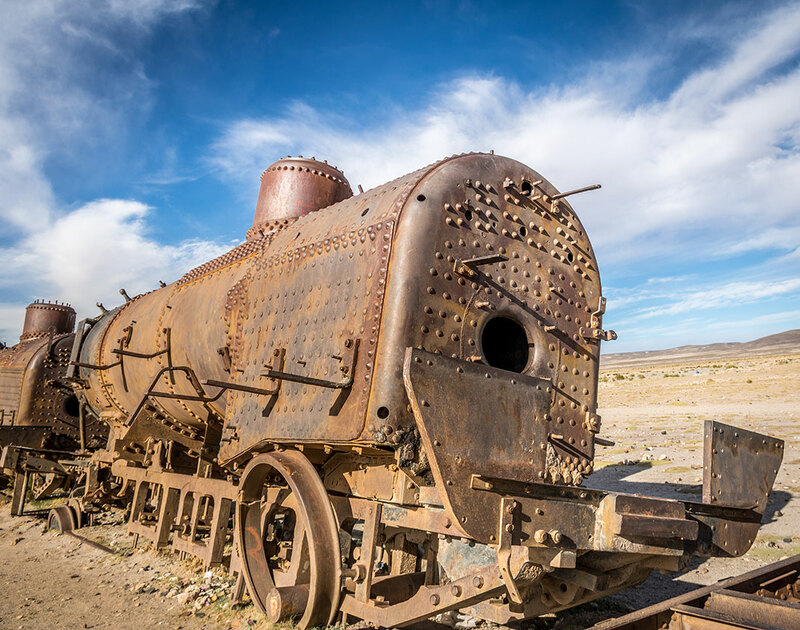 Though designed to withstand harsh weather conditions, the area is very dry, it rains very little, water is scarce and often salty, locomotives therefore have difficulty coping with the climate characteristic of Bolivia. 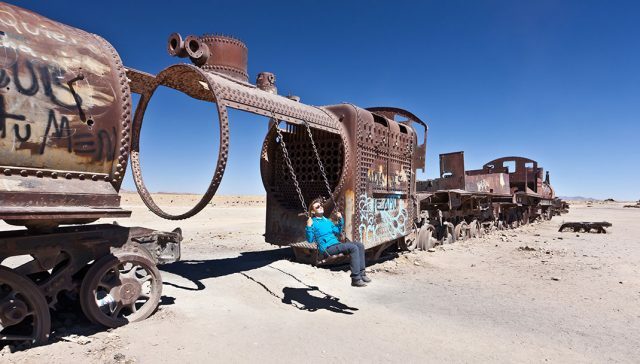 In addition, most locomotives were vandalized, some have been turned into swings for the delight of tourists who engage in memorable photo photos. This truly unique place we really liked writing! 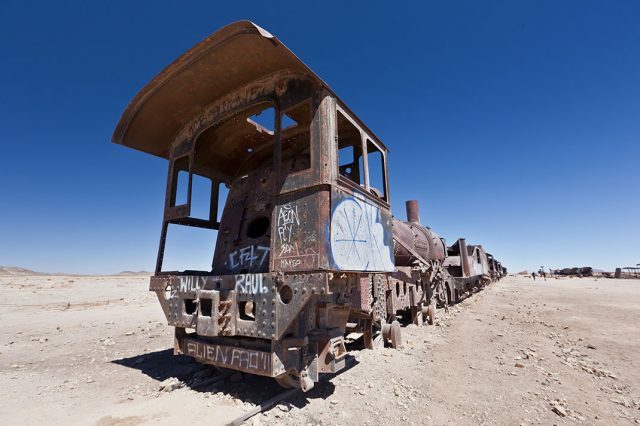 Would you like to visit this memorable place.